Of all the locations I have taken photos at, this ought to be one of my favorites. You might recall seeing it before in my Coach collaboration post. It is a semi-abandoned field with fallen trees and trails, along the coast, in Santa Cruz. I love that this backdrop can evoke so many different kinds of moods and it is also quite perfect for fall. Today's look is a little bit romantic and a little bit edgy. 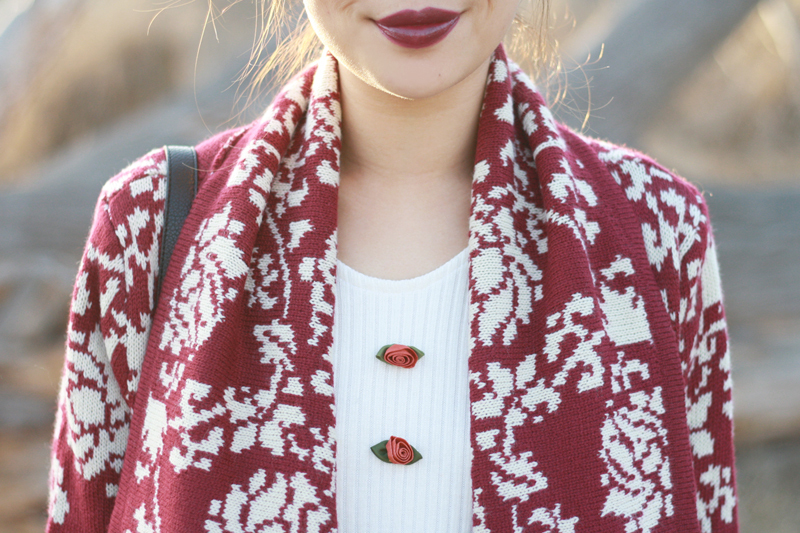 This burgundy floral sweater is absolutely amazing. 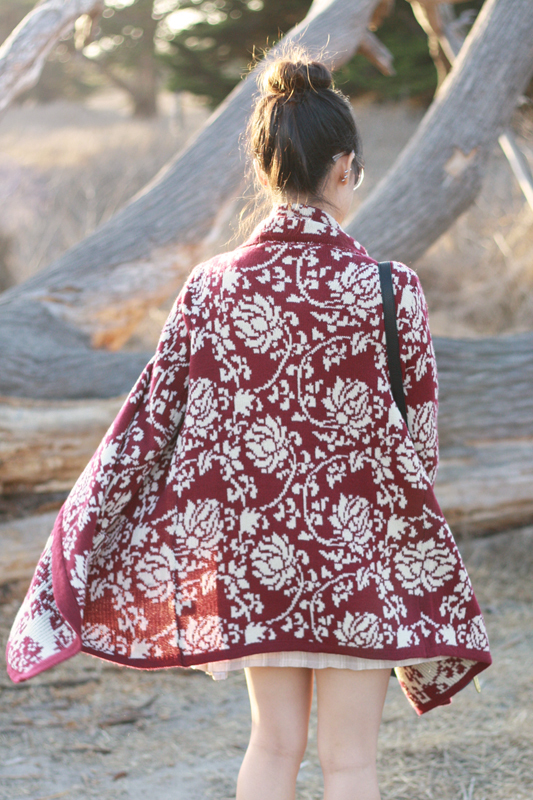 I love the feminine color and pattern, the oversize shawl drape collar, and most of all how cozy it is! I paired it with a matching deep burgundy lipstick (love to wear deeper shades of lip colors in the fall), a vintage babydoll dress, and these versatile suede chelsea booties that go with practically anything! Burgundy floral sweater by Alice Moon c/o Lulu*s.
Giuliana chelsea booties in cloud black c/o Sole Society. You look sooo comfortable. And lovely! You really do have amazing style. I love the sweather! It has such a beautiful pattern, that lip colour suits you very well! This sweater is too cute! I want one! Oh my goodness I LOVE your lip color! You are so fabulous! That sweater is incredible!! Gorgeous shots.